Print or Digital Textbooks? What’s the Low-down? For the past decade, schools have invested millions of dollars in technology. It started with a push for desktop computers which soon expanded to iPads and the wonderful apps (like art programs) that made tablets essential tools. Quickly after iPads, schools fell in love with Chromebooks and their amazing ability to allow students to collaborate and share, not to mention their ease of maintenance. Today’s focus is to give every student a digital device, much as kids used to be provided tablets and pencils. 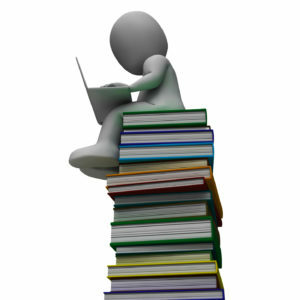 The next game changer, according to education experts, will be digital textbooks. This is driven in large part by the affordability and portability of digital devices like Chromebooks, tablets, and laptops. Why lug around half a dozen heavy books in a backpack that too often is left behind on a sports field or at the library? Why spend a year studying information in a print textbook that doesn’t match the thinking or values of the school and its students? It’s no wonder proponents of digital books are pushing for change. But there’s another side to the story of print vs. digital, one that is at the core of why 2015 e-book sales dropped in the United States and the UK. Let’s take a clear-eyed look at the pluses on each side of this argument. Then, when it’s time for your school to make that call, you’ll be ready. Because there is only a small group of established and authoritative print publishers, it’s easy to determine the reliability of print books. Not so with digital. Ebooks may be published by trusted names in education (like McGraw Hill) or by a teacher or organization with great ideas that work for them (like Ms. Sally’s Kindergarten Class). Make no mistake: These latter are often a perfect choice but the school or teacher must ensure that the digital materials are high quality, authentic, rigorous, and serve students well. Since research indicates that the majority of teachers rate themselves low when asked about their skill in digital content evaluation, teachers should be trained in how to select digital content. 2017 research shows that while students may read digital books faster, they don’t read them as closely, meaning they don’t get as much out of them. Print books are often easier to share. It’s as simple as lending the book and getting it back, whenever. Sharing digital books is a work in progress. Even Amazon who touts its “sharable” books falls well short. Print books can be read anywhere — in sun, shade, inside, or outside. Digital devices with reading apps often suffer glare on the screen or dim to unreadability in full sun. While this isn’t true of many dedicated reading devices (like a Kindle), it is true of all reading apps adapted to Chromebooks, tablets, and smartphones. Digital books often require their own proprietary program. For example, Kindle books can’t be read on iBooks. RAZ Kids books can’t be read on a Nook and many textbooks require a publisher-provided reader. 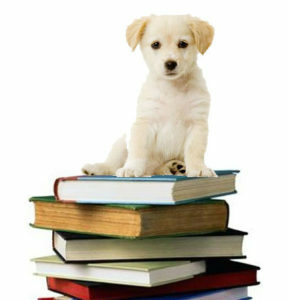 That means students have to get used to the intricacies of many different readers. For Luddites and technophobes, that is daunting. Print books don’t require electricity, batteries, Internet, or WiFi. They don’t rely on websites that could crash or complicated steps required to open a book. Even better, there is no person anywhere that can’t show a child how to read from a print book. Digital ebook files are fragile. They can be corrupted or lost. The website that hosts them could go out of business and take a student’s book with them. Well, if I’m honest, print books disappear all the time in moves, fires, or in a child’s bedroom. This point is probably neutral. Reading print books has fewer distractions than reading on a digital device. Even if students are on a “closed garden” school site, the very nature of a digital device with its one-click access to millions of activities is distracting. Digital books are lighter to carry. More than that, if students have their digital device with them, they have all the books needed for classwork and homework. No forgotten books. No rush trips to school where they hope to find a janitor who can open the classroom. If the Internet connection works, the books are available. Digital books are easily and cleanly annotated with notes that are quickly erased at the end of the school year. Digital books can be interactive, allowing students to access videos, audio clips, images, slideshows and more from within the ebook. In many cases, students can even take a picture of the class screen or a sample project and insert it into the digital file. These can be shared with classmates without finding a copy machine that doesn’t jam and without driving miles using gas no one can afford. Digital books are more affordable. But, no doubt, as they evolve to include more media options, even AR or VR add-ons, the cost may match or exceed print books. Where print books might be out of date because they are only printed every decade (or so), digital books can be updated immediately. New elements added to the scientific table? No problem. Pluto is no longer a planet? Drop into the digital file and delete it. Digital adapts to students who are reading challenged by providing larger fonts, unique fonts, and color changes that work better for unique needs. Digital readers make it easy to look up unknown words, copy-paste portions of what’s being read to a notetaking tool, and dig deeper into a topic that sparks interest. 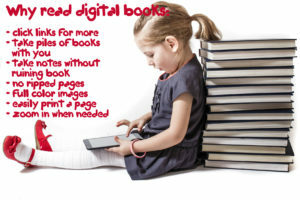 Many popular or “important” books can be adapted to the age-level of the reader on digital reading sites. This opens up inspiring literature to age-groups and reading abilities that were unable to enjoy it in the past. Dedicated education sites (like Khan Academy and Discovery Education) make tons of digital resources and curricula available to teachers as they plan their lessons. This is not only convenient but more affordable than all those extra textbooks. On balance, there are more pros for digital than print but that doesn’t tell the full story. You may consider “easily carried” (for digital) as ten times more important than “can be read anywhere”. It really depends upon the needs of your students. What are your thoughts on this topic?